Folks down south like to think their brand of baseball is a little, well, superior to the rest of the state of Utah. And folks down south may just be right. 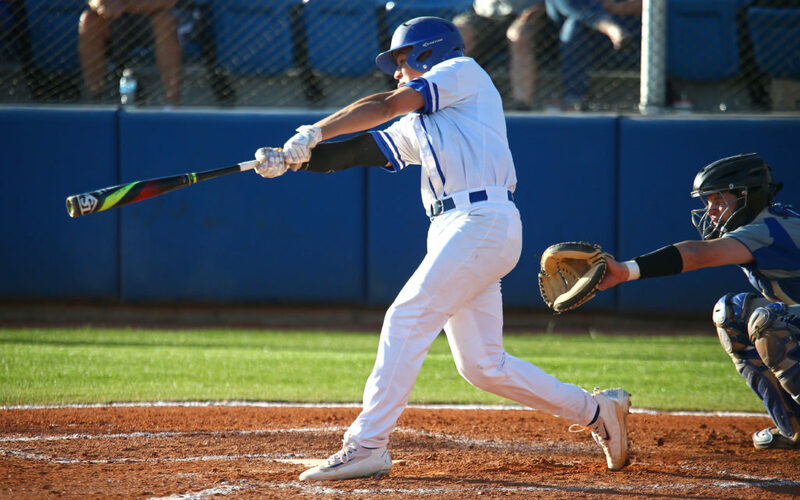 Region 9’s four representatives in the 3A baseball tournament won 7 of 8 games Saturday in the four “pods” around the state. An eighth win was just a whisker away as Park City scored with two outs in the bottom of the seventh to defeat Desert Hills 1-0. 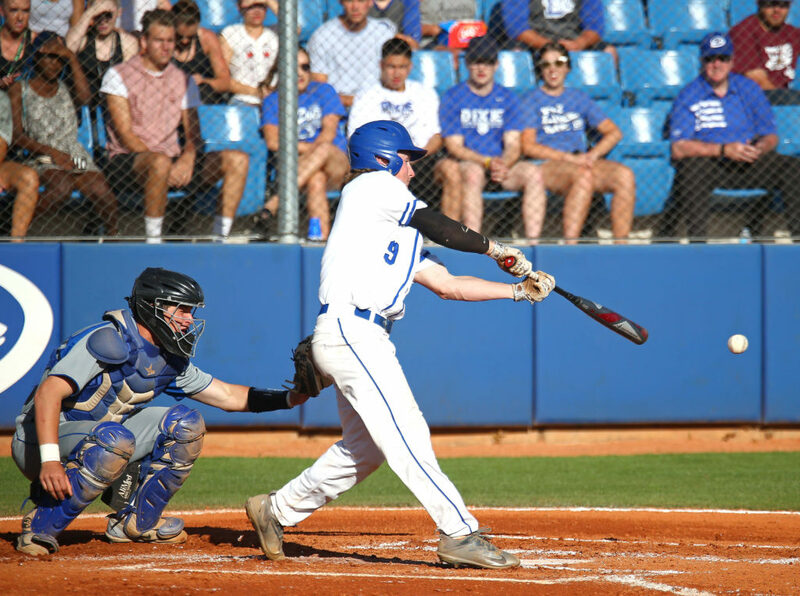 Top-seeded Dixie didn’t allow a run in two games, though both were closer than many suspected they would be. The Thunder had an easy win early in the day before the heartbreaker vs. the Miners. No. 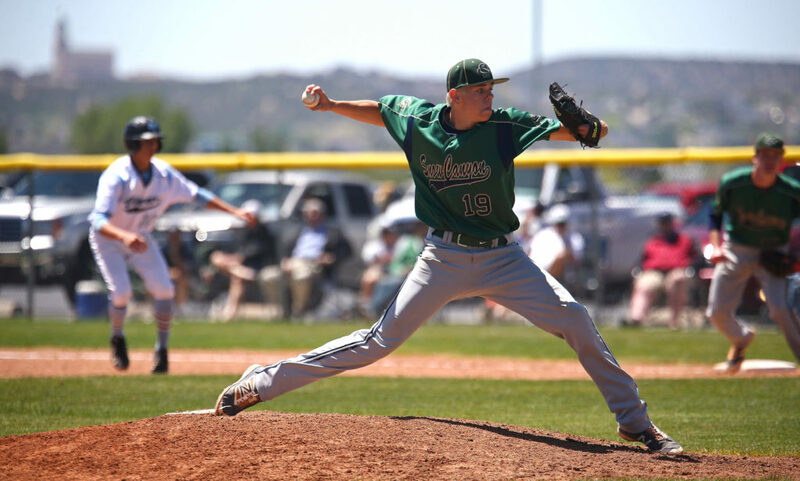 3 seed Pine View also got excellent pitching in a pair of wins. 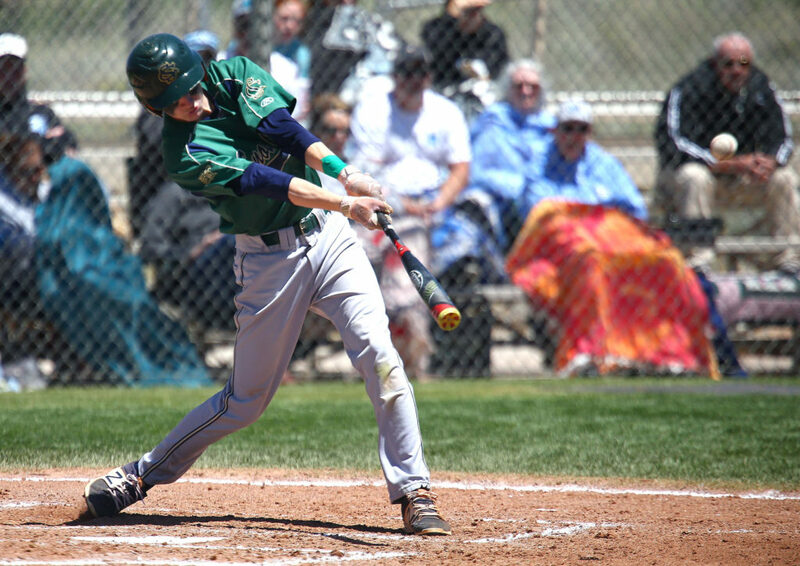 And Snow Canyon had perhaps the most impressive day, sweeping a pair of games by the combined score of 26-1. That will set up a pair of quarterfinal games next Thursday at Utah Valley University with heavy southern Utah flavoring. 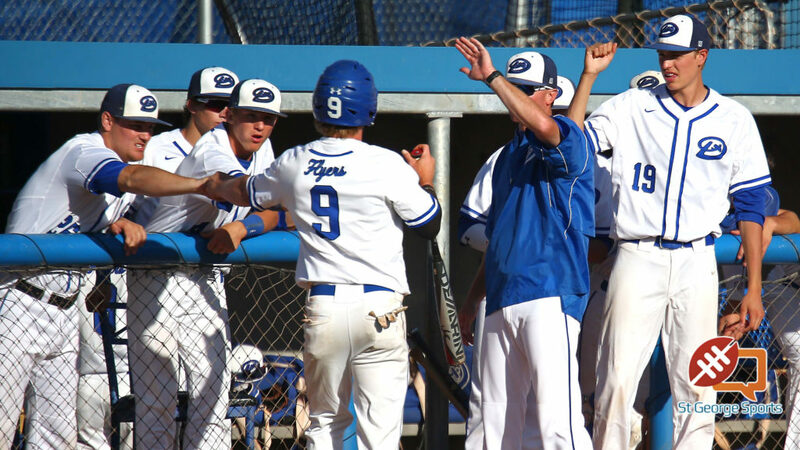 Dixie (21-3) will take on region rival Snow Canyon (16-9) in the first quarterfinal at 11 a.m. at Brent Brown Ballpark. 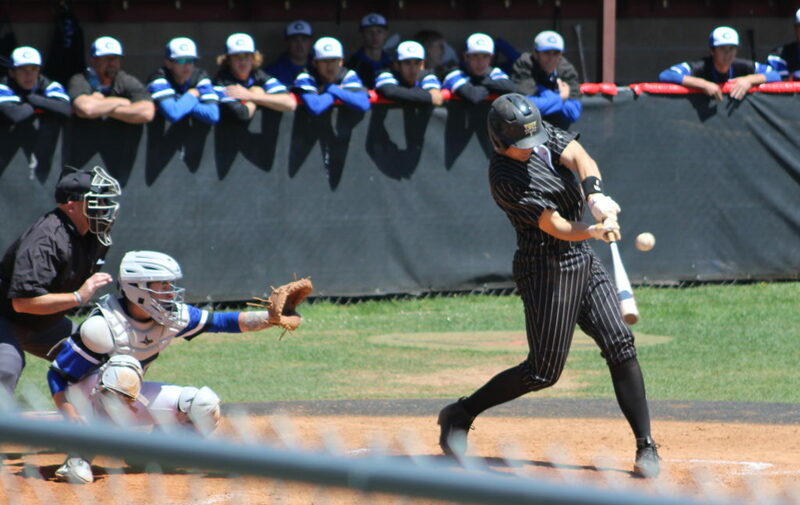 Pine View (14-10) and Park City (21-3) will meet at 1:30 p.m. in the other quarterfinal with the winners of the two QF games squaring off at 4:30 p.m. at the triple-B on Friday. Desert Hills will have to make its way through the one-loss bracket after the close defeat, starting with a Thursday game at 11 a.m. against Ridgeline. 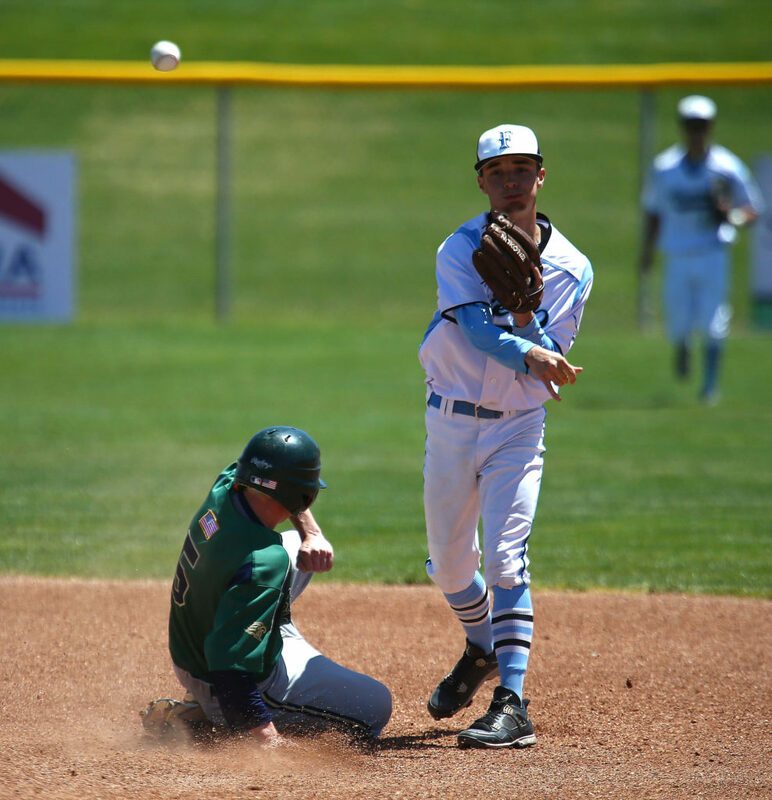 The elimination game will be played at the Sports Complex (Field 8) in Spanish Fork. DH would play again Thursday at 4:30 p.m. (at the triple-B) if the Thunder can beat the Riverhawks. It’s impossible not to do a double-take when checking that first-round stat sheet. Did the No. 4-seeded Warriors really beat the home-standing Falcons 18-0? Did Snow Canyon really get 20 hits in that game and every single one of them was a single? 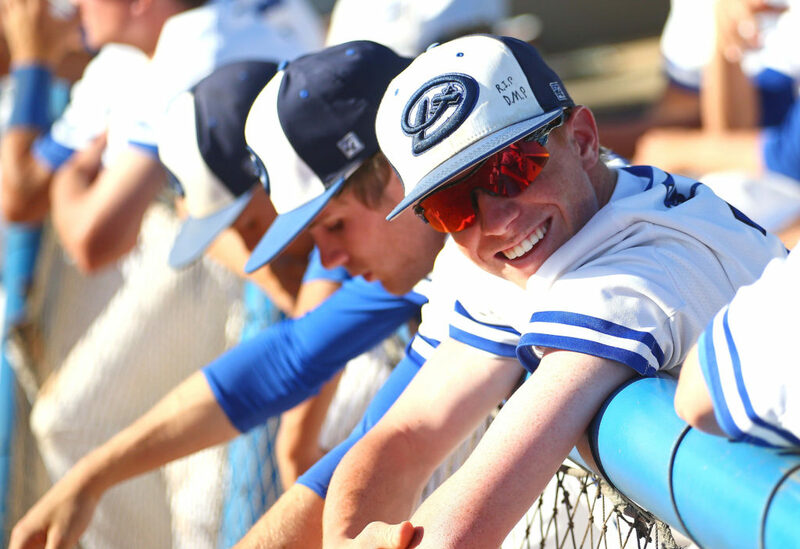 And how in the world did SC pitcher Breck Eichelberger not get distracted by his teammates (and we mean all of his teammates) scoring all those runs and still manage to pitch a shutout? 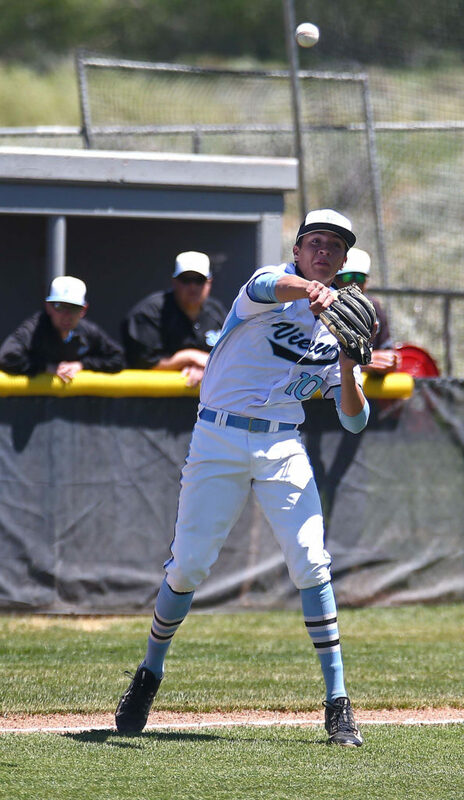 It’s all true and the Warriors may have just made a state-contender statement with the mercy-rule win, especially paired with another easy win later in the day against Juan Diego. Against Canyon View, every Warrior starting position player had at least one hit and every player that played even for a second on offense either scored or knocked in a run. 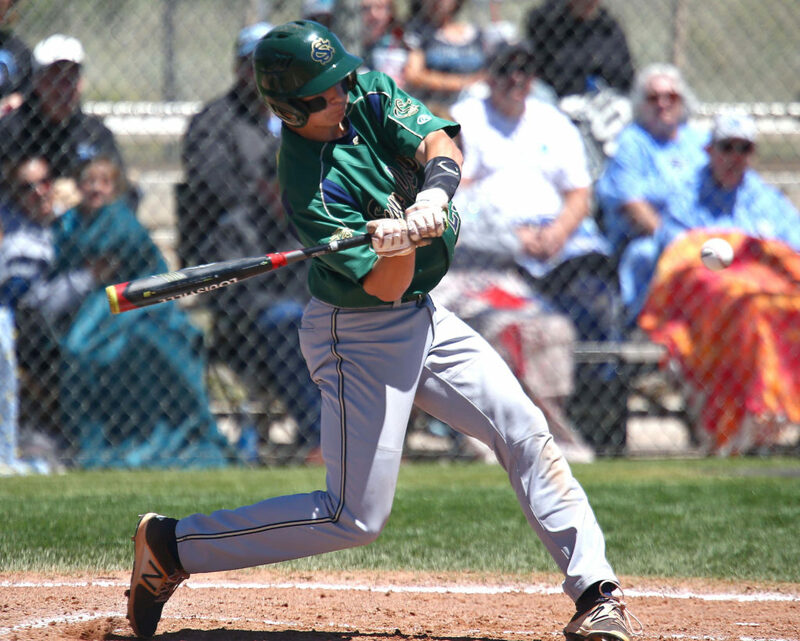 Three Warriors (Davis Rigby, Austin Deming and Braden Baker) had three hits each and five others had two hits apiece as Snow Canyon scored five runs in the second, three in the fifth and an astounding 10 in the sixth. Eichelberger was lights out on the mound, allowing just three hits and one walk in six innings of work. He also had two hits, a walk and three RBIs at the plate. The Warriors have scored at least 11 runs in four of the last seven games. Even speed-up runners Parker Ence and Seth Smith got in on the fun, with each crossing the plate twice in the game. 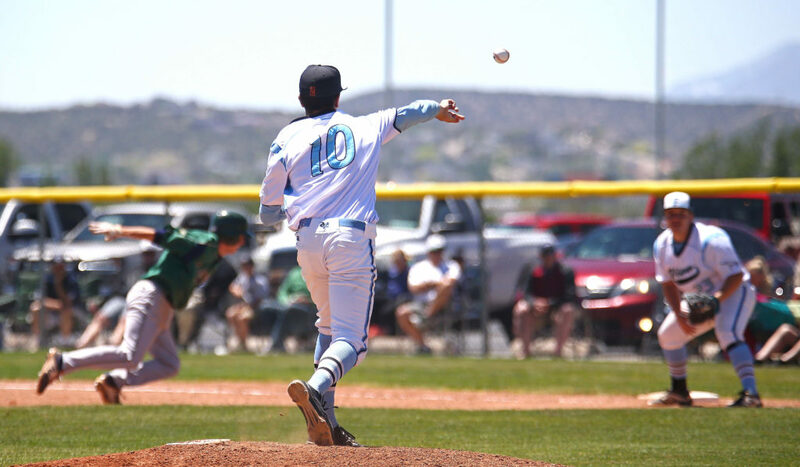 After the hit parade against the Falcons, it must have been quite a letdown for SC in the second-round game against Juan Diego to be scoreless heading into the fourth inning. But the bats would warm up quickly after that. Baker opened the top of the fourth with a single to the right side. Zach Nowatzke then stepped up and deposited a 1-2 pitch over the left field fence to make it 2-0. It is Nowatzke’s first homer of the season. Later in the half-inning, Jamison Day collected one of his seven hits on the day to bring home Stephen Gubler and make it 3-0. Cannon Secrist, meanwhile, had wriggled out of a couple of jams to keep the Soaring Eagle off the scoreboard. 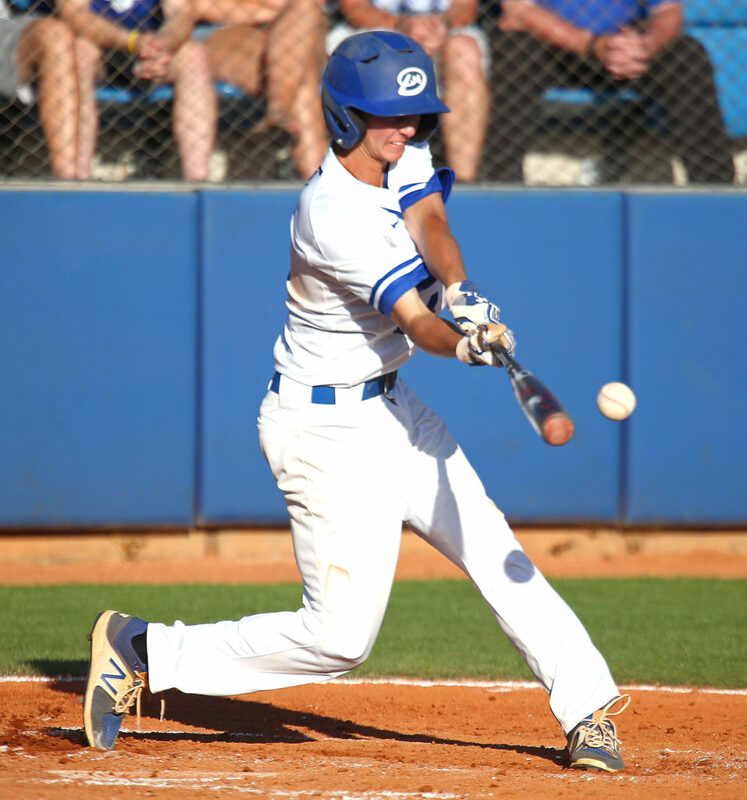 He got some big-time breathing room in the top of the fifth when the Warriors offense struck for four more runs. Austin Deming led off the fifth with a double and later scored on a JD error to make it 4-0. With two outs, Baker scored from third on a wild pitch to make it 5-0. Day put the capper on a five-hit, four-RBI game with a two run single that made it 7-0. 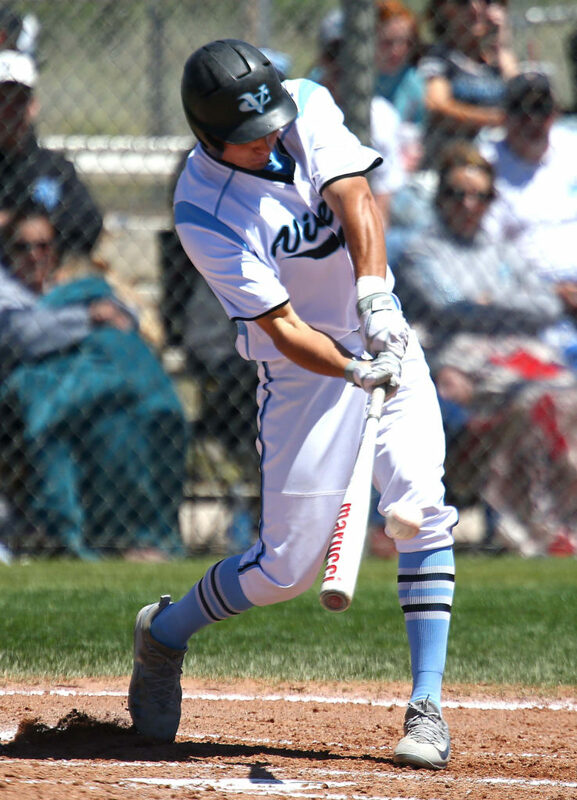 Juan Diego got a run back in the bottom of the fifth on an RBI by Phil Hamel, but the Warriors matched it with an insurance run on a Day RBI double to left field. The carnage count in the two SC wins: 26 runs, 34 hits, nine errors by opponents, five innings of three or more runs scored and two players with seven hits each (Day and Deming). The Warriors, 16-9, will be looking for vengeance next week. 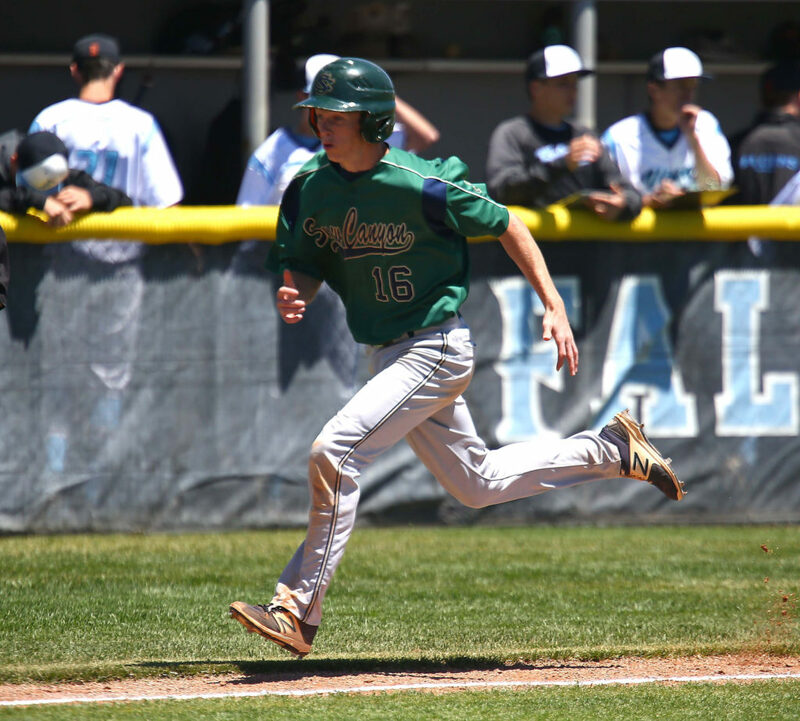 Snow Canyon lost two one-run games to Dixie during the region season (4-3 and 6-5). 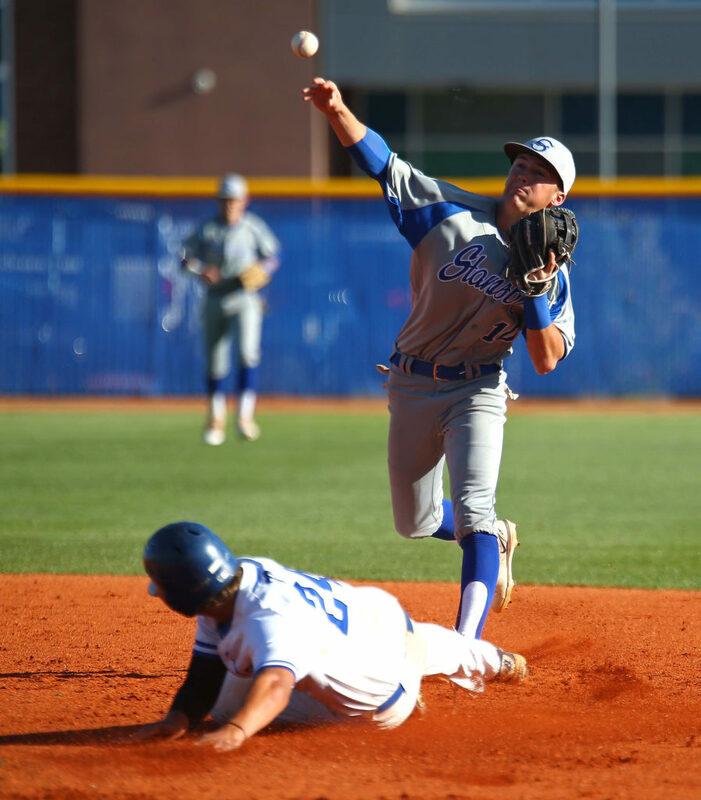 The Falcons bounced back from the crushing loss to Snow Canyon by eliminating Grantsville 9-8 in the second-round game. 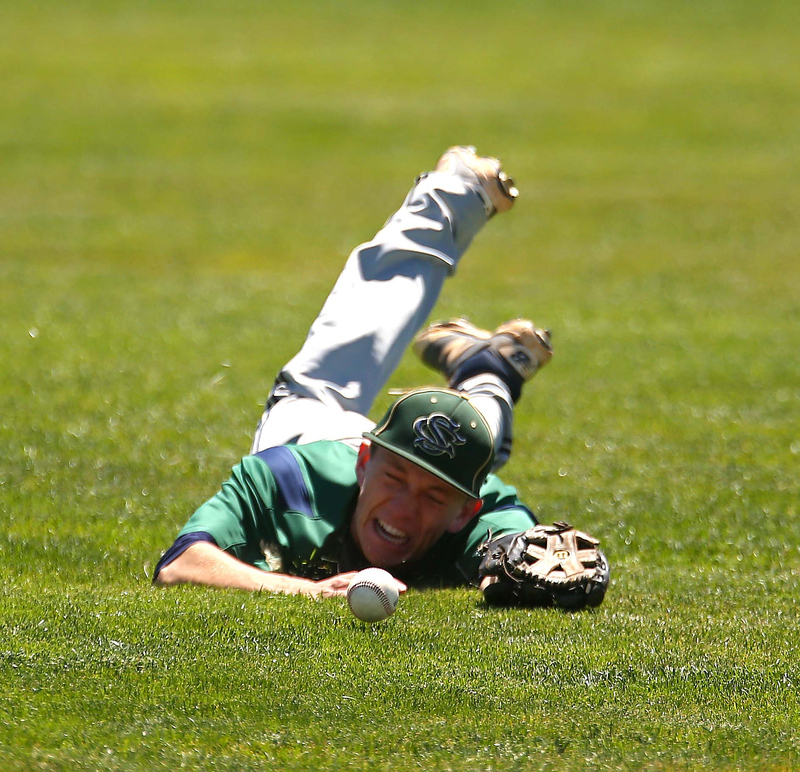 CV trailed 7-2 before putting up a six-spot in the bottom of the fourth, led by McCray Webster’s three-run jack. It was tied at 8-8 in the seventh when Tyrel Robinson grounded home Joey Mackelprang with one out to end the game in walk-off fashion. If Dixie fans were disappointed in two relatively close wins Saturday, it would be understandable. After all, the Flyers have averaged 9.4 runs a game this season. But hey, doesn’t the state’s best offense deserve a break? 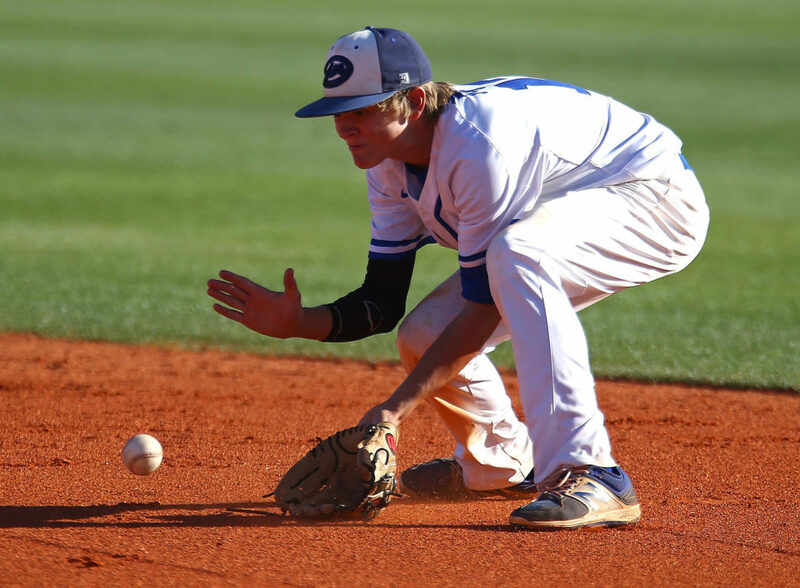 Plus, while Dixie’s offense was a little anemic, the Flyers pitching and defense was stellar. In the first rounder vs. Richfield, freshman Cooper Vest struck out 12 batters and allowed just one hit and one walk in six innings to shut down the Wildcats. The lone hit came in the third and was just one of three base runners Vest and relief pitcher Ajay Leavitt allowed. Dixie had six hits in the game and left six men on base. But the Flyers led pretty much throughout the game. DHS opened the bottom of the first with three runs. Hobbs Nyberg reached on an error and Dayton Dempsey was hit by a pitch. Tyson Fisher then made it 1-0 with an RBI single to left. Payden Harrah followed with a run-scoring single to center to make it 2-0. Kayler Yates then squeezed home Fisher with a sac bunt to make it 3-0. An RBI double by Fisher in the third made it 4-0 and Nyberg picked up an RBI with a sac fly in the fourth. Dixie had at least one man on in every inning of the game. In the second-round game, the Flyers needed a pitching gem from Fisher to get the win. The big guy responded with a one-hit masterpiece, allowing two walks while striking out 12. Fisher had a perfect game through 4 1/3 before giving up a solid single to right by Stallions shortstop Parker Buys. But Stansbury never got a runner past second base in the game. The only scoring for Dixie came early. Harrah singled home Nyberg in the bottom of the first to make it 1-0 and Wyatt Woodland knocked home Dayton Dempsey in the third to make it 2-0. 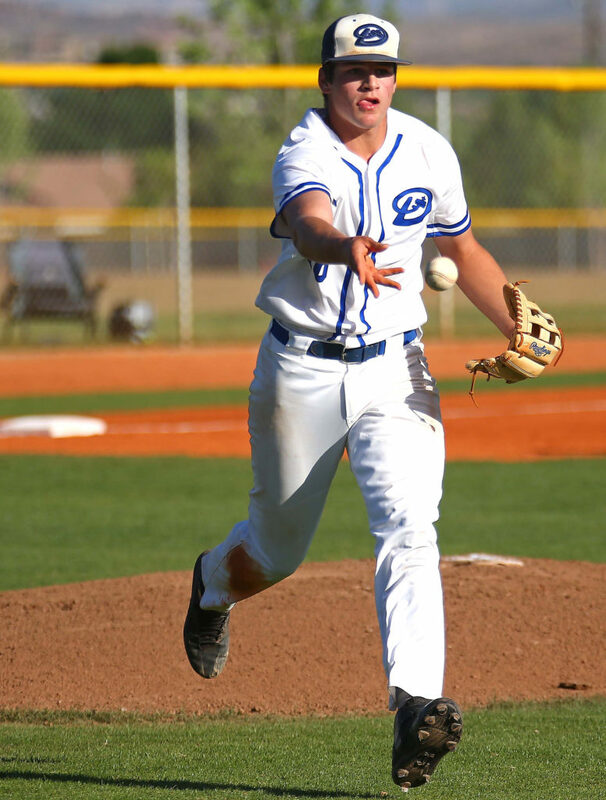 Stansbury pitcher Justin Matthews kept the potent Dixie offense in check the rest of the game. Matthews issued no walks and hit no batters to help keep the damage minimal, though he took his third loss of the season. 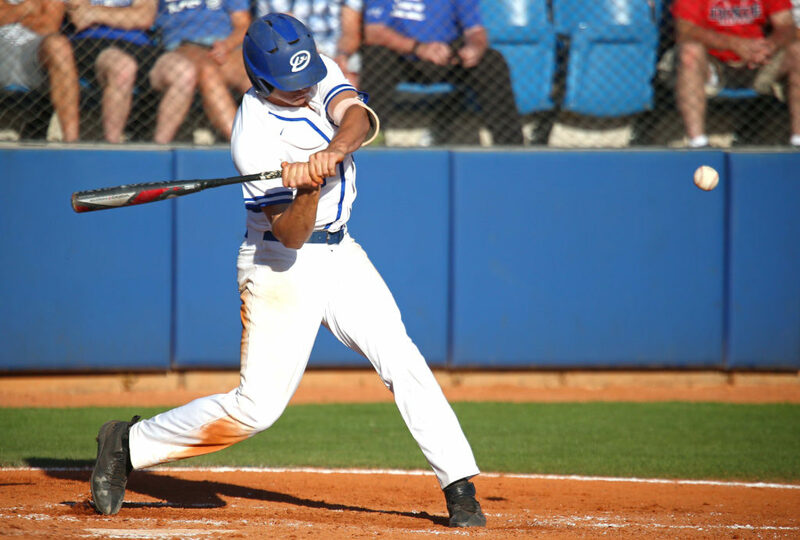 Harrah led Dixie (21-3) with two hits as the Flyers rapped out eight base knocks in the contest, including a double by Fisher. 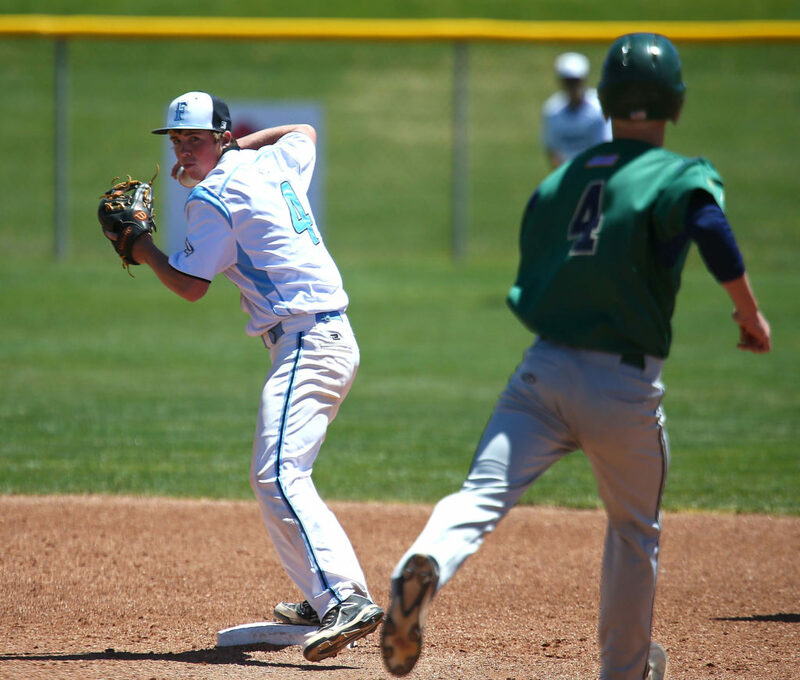 Ridgeline, which lost 5-2 to Stansbury in the first game, kept its season alive with an elimination game victory over Richfield. The Riverhawks beat the Wildcats 16-6. Both Park City and Desert Hills seemed to just go through the motions in easy first-round games. Chad Nelson, Dallen Turner and Blake Milne combined to hold the Dinos to three hits and one run. 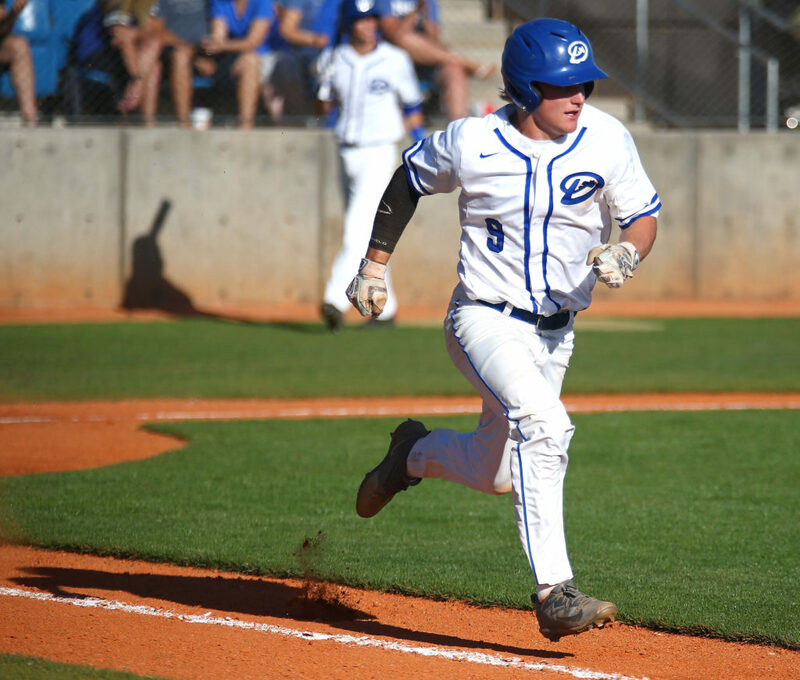 The shutout was ruined in the top of the sixth when Turner issued a trio of walks and went to 3-0 on CHS’s Adrien Sanchez. Milne entered and gave up ball four to force home a run, but then struck out three of the next five batters to close out the win. DH led all the way, with a Dino error bringing home Trey Winget in the first and a Konner Blomquist RBI groundout scoring Trey Allred in the second. The Thunder scored five in the third, with Drew Thorpe tripling home a run and Bronson Andrus doubling home another in the rally. The game was never in doubt after that, though D-Hills did issue eight walks in the contest. 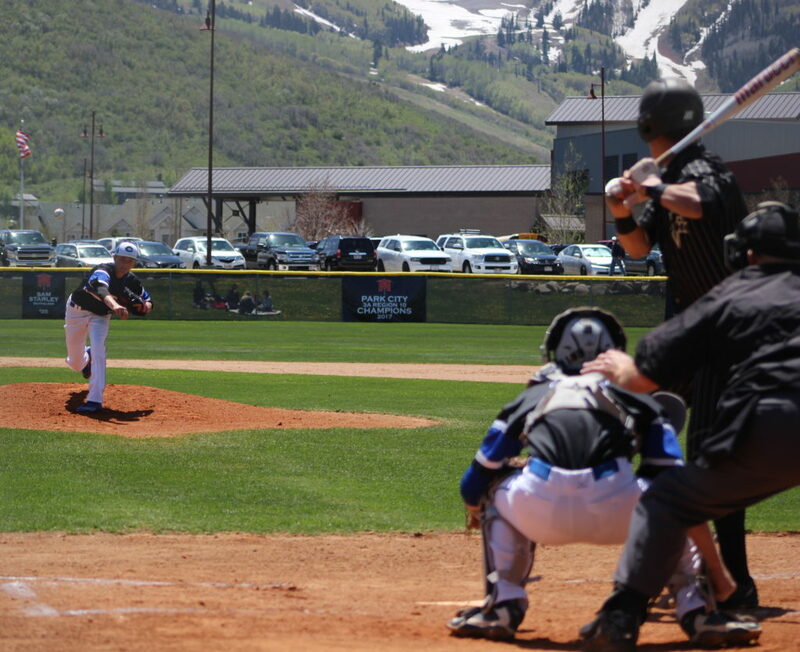 Park City had mercy-ruled the Trojans in the first game of the day and at 4 p.m., the game everyone in Summit County wanted to see came to fruition, with Miner ace Ryan Brady squaring off against Thunder phenom Thorpe. 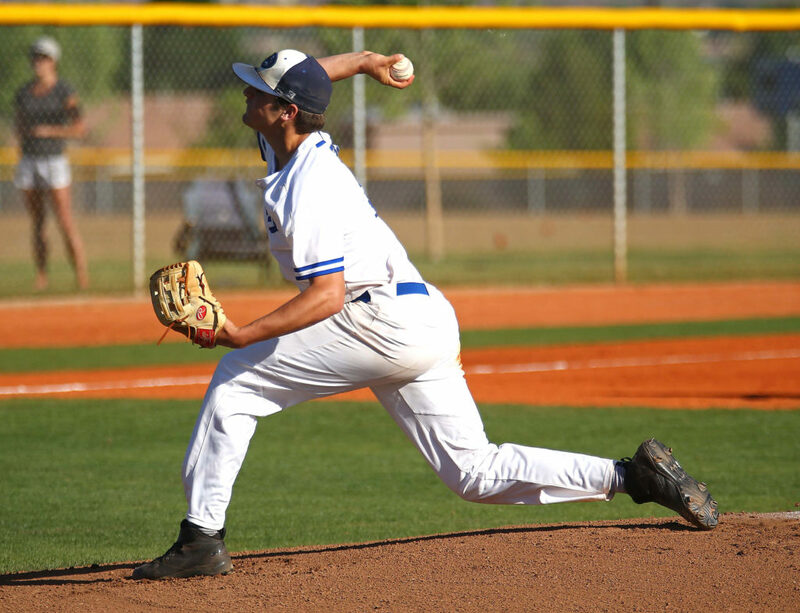 Brady pitched seven shutout innings and flustered a Desert Hills lineup that had been averaging seven runs a game in PC’s 1-0 second-round victory. 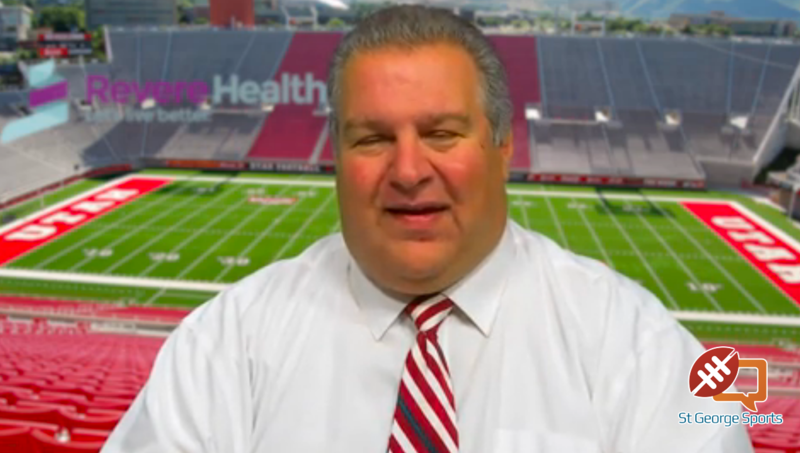 In doing so, Feasler said it was the best the BYU signee had hurled all year. Brady threw just 74 pitches in his two-hit gem, striking out nine and allowing just one free base on a hit batsman. As good as Brady was, the game might still be going if not for the heroics of Zach Luna. 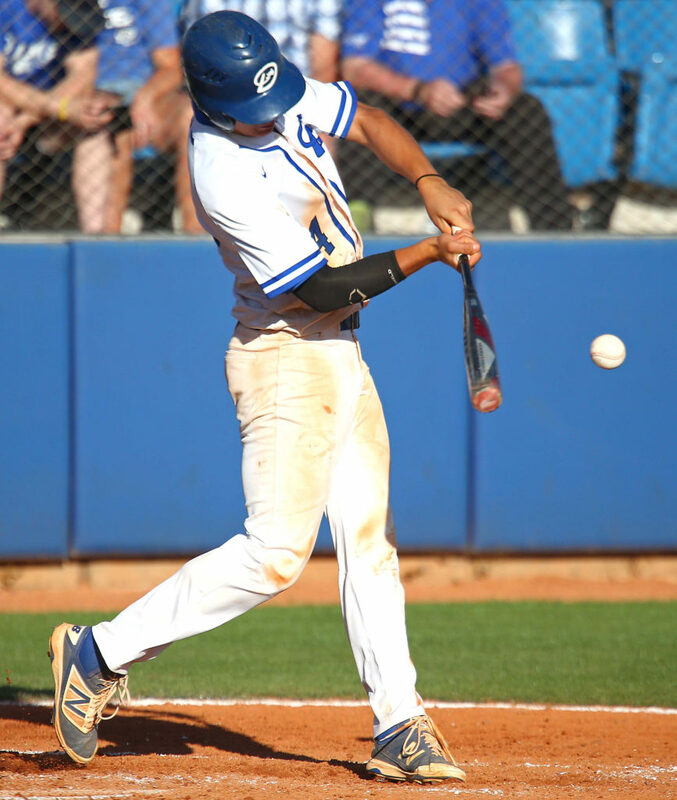 The senior laced a liner to right field with two outs and a man on second in the bottom of the seventh. The walk-off RBI single ended the game and made a little history along the way. Thorpe was the counterpoint to Brady’s point. Thorpe, whose earned run average this season is 0.95, matched Brady (0.39) almost pitch-for-pitch in the contest. Thorpe allowed just four hits and held the Miners off the scoreboard until the final moment. The hits were few and far between, with the scoring threats even rarer. Park City had runners at first and third in the fourth inning after a pair of walks around a wild pitch by Thorpe. But the Thunder ace got a strikeout and a double play to end the potential rally. 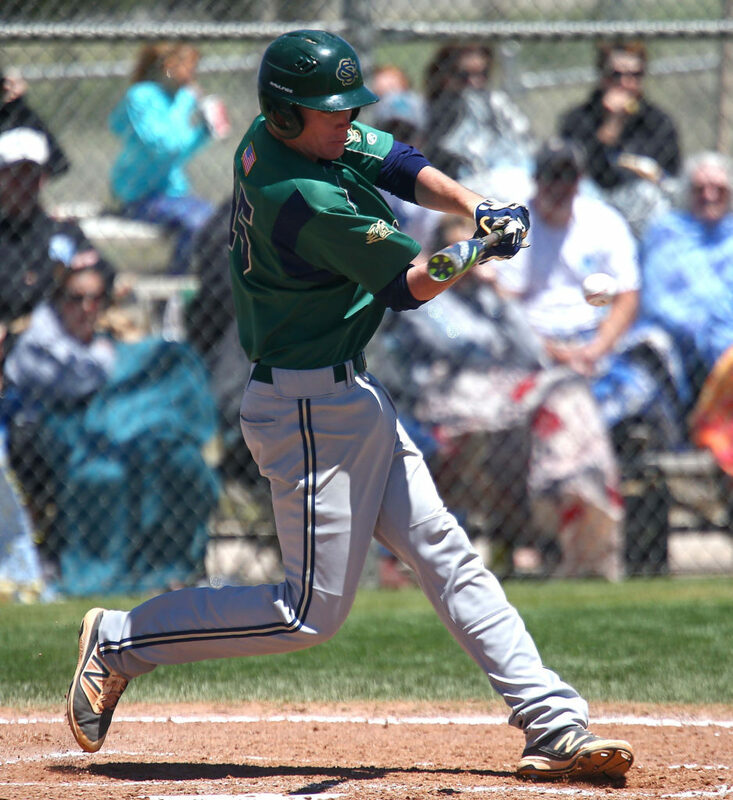 The Miners also loaded the bases with two outs in the fifth after an infield single and two walks. But Thorpe struck out Brady to quell the uprising. 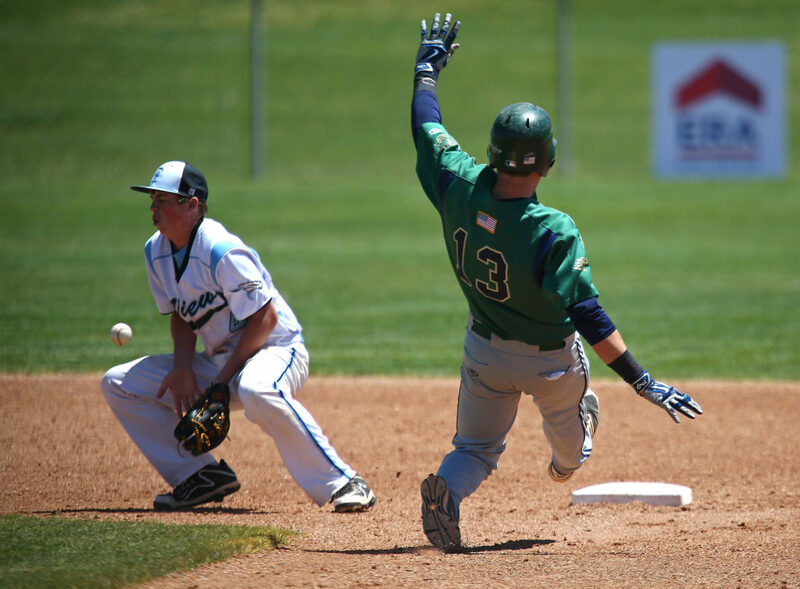 For the Thunder, the lead was tantalizingly close in the fourth with two outs after a single by Sam Rhoton and a rare hit batter by Brady as Chad Nelson reached. But Brady induced a harmless fly ball to end the threat. Desert Hills looked like it might finally break through in the top of the seventh. 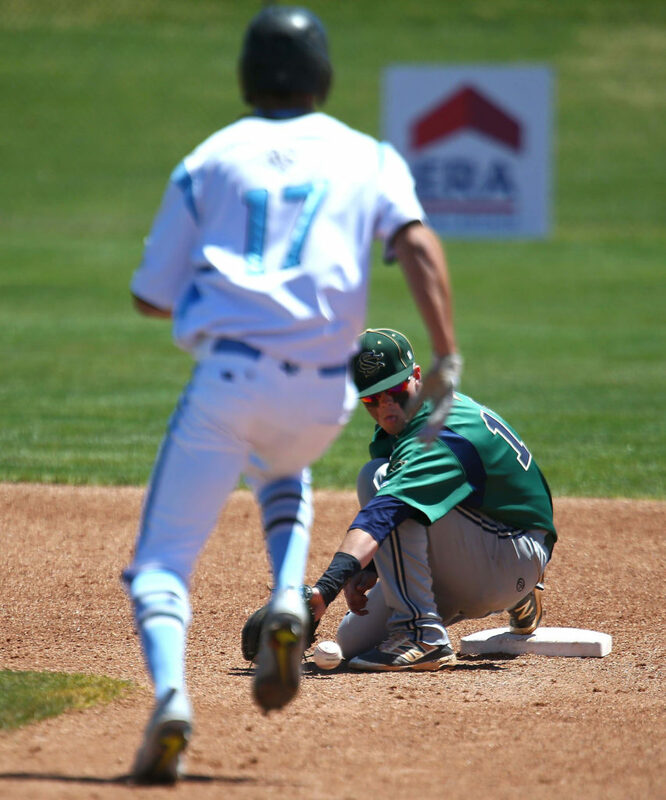 Trey Allred reached on an error and stole second base. On the steal, the ball got away and Allred sprinted to third. He then took a huge chance and tried to catch the Miners napping by continuing home. Park City threw home and tagged him out several feet from the plate to end the top of the seventh and set up Luna. Thorpe got the first out on a fly ball in the bottom of the seventh, but Tim Agnew reached on an error at second base. A wild pitch moved pinch runner Van Rabe to second. Thorpe got the second out on a strikeout, bringing Luna to the plate. Luna rocketed a 3-2 pitch past the diving DHHS first baseman and into right field. The speedy Rabe scored well ahead of any throw. 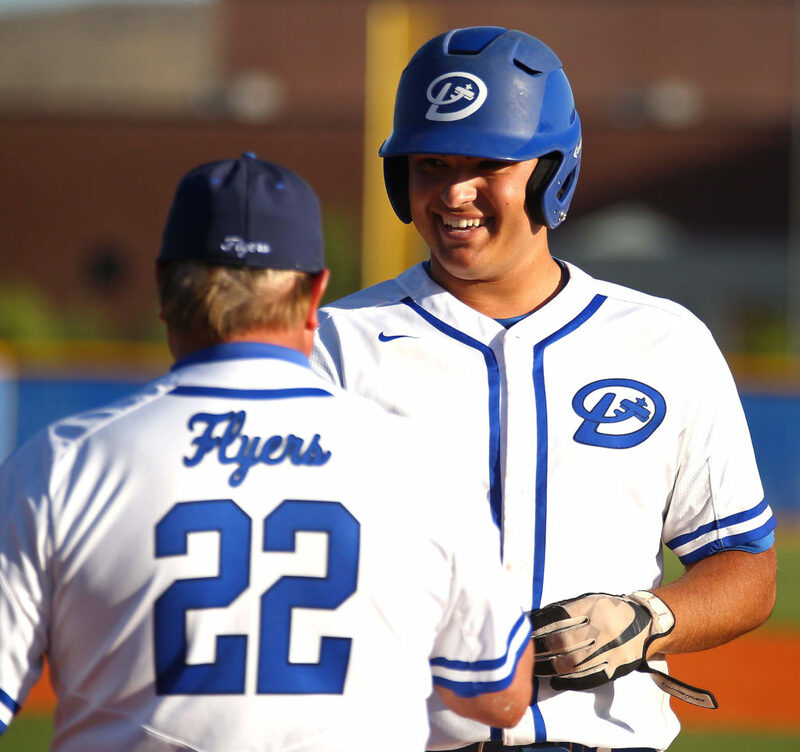 Dessert Hills, 18-6, can make a run at state in Orem with a couple of wins on Thursday. 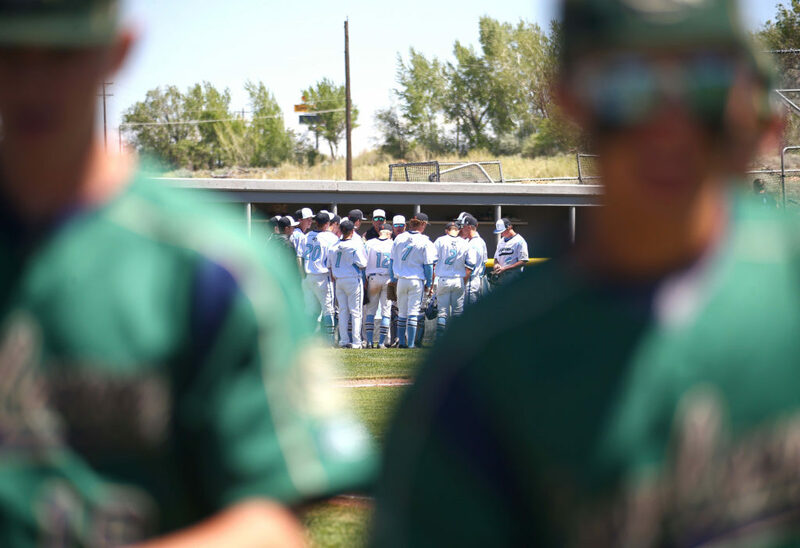 The first game is against Ridgeline at the Spanish Fork Sports Complex and the second game would be at 4:30 p.m. back at UVU against the winner of Bear River and Canyon View’s elimination game. Never count out the defending champs until they’ve taken their last breath. Pine View traveled the length of the state to play in the Bear River pod. But with near-perfect weather (except for some wind), it was a matter of getting the job done for the Panthers. Against the Wasps, PV built a 7-0 lead and had to hold on. 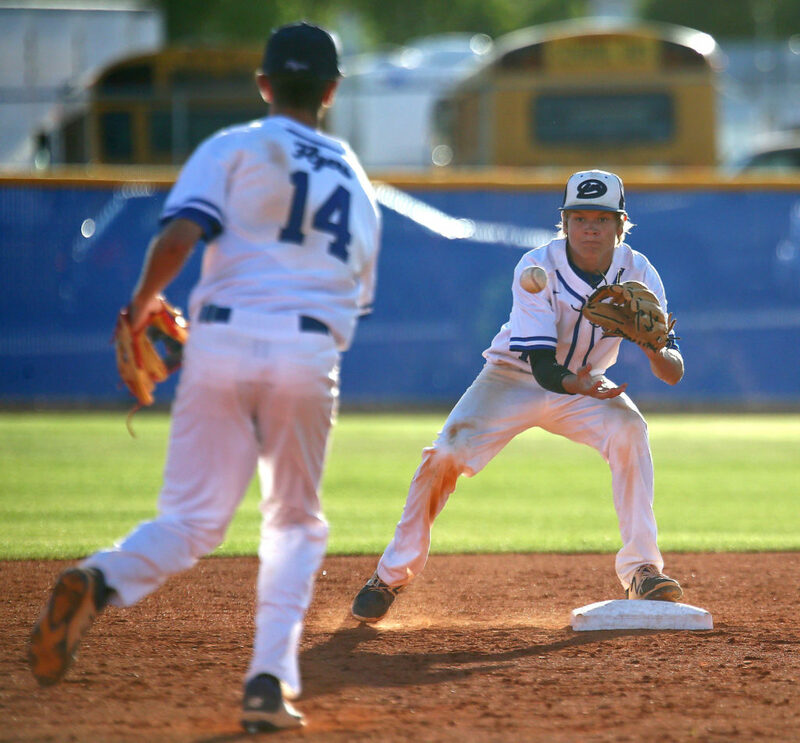 Pine View scored three in the second, one in the third, two in the fourth and one in the fifth to build the comfortable lead. But things got a little dicey late in the game. With the score 7-1 and two down in the seventh, Juab got a couple of men on and Talon Mangleson doubled to make it 7-2. Trent Rindlisbacher followed with a hit to cut it to 7-3 and Mangleson came around to score on the same play on a Panther error that made it 7-4. But PV reliever Bridger Barney got the final out by inducing a shallow pop fly to end the game. 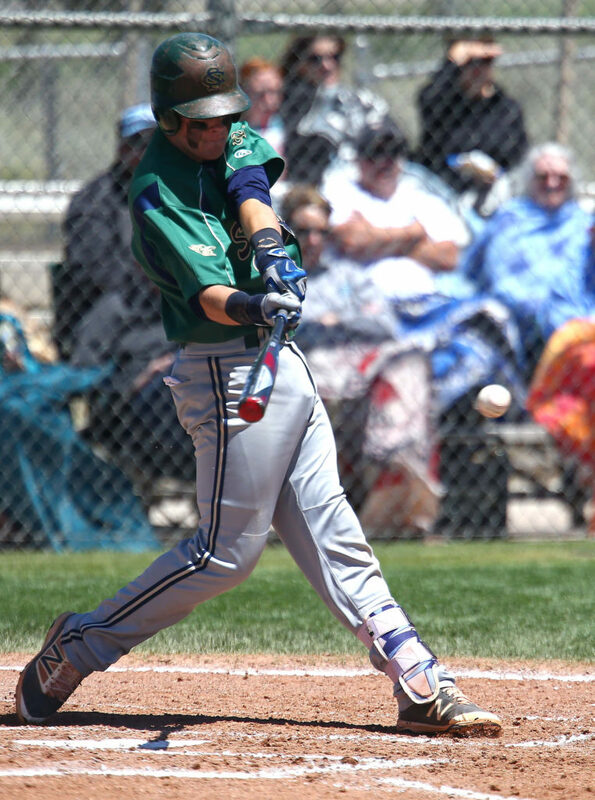 Tanner Staheli and Jagun Leavitt had two hits each in that first game, with Staheli chasing home a pair of runs. Bear River, which had 10-runned Union earlier in the day, watched with interest as the Panthers held off the Wasps. 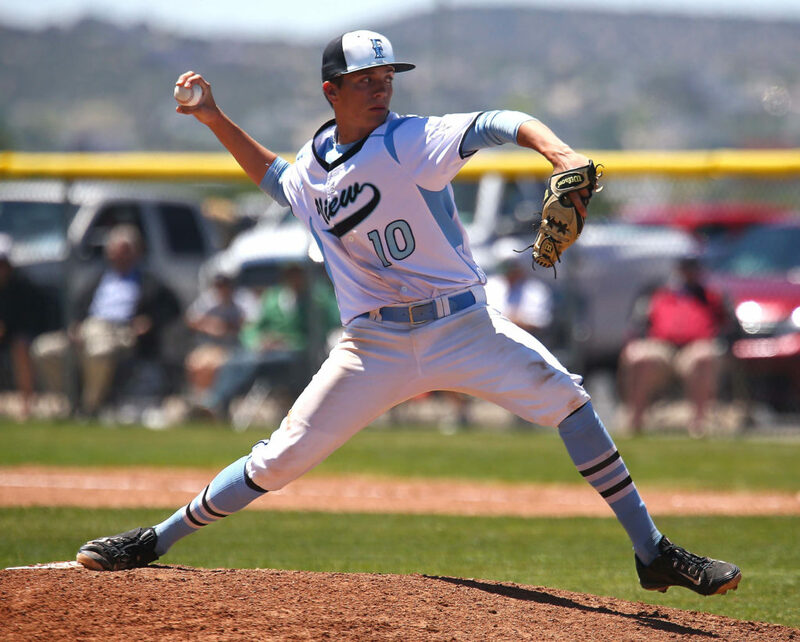 But the Bears were unprepared for Pine View ace Jagun Leavitt. 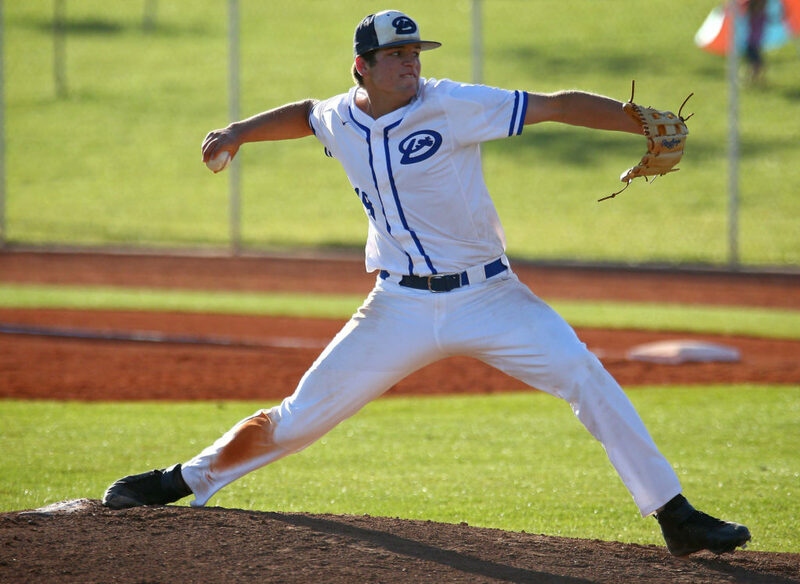 The senior allowed just three hits and one run in shutting down the host team in the second round. He got early run support as Pine View went ahead 2-0 in the top of the second. Weston Sampson singled and later scored on a passed ball in the inning. Ryke Erickson then drove home Cody Riddle to make it 2-0. The Bears kept it that way by throwing Kory Taigan out at the plate on the play to retire the side. However, the Panthers made it 3-0 anyway in the top of the third when Sampson ripped a double to left-center to bring home Dawson Staheli. A glimmer of hope appeared in the bottom of the third as Leavitt gave up back-to-back extra-base hits. Tyke Nessen hit a one-out double to left and Wyatt Roholt followed with an RBI triple to the gap in left-center. But Leavitt stopped the bleeding by inducing two fly outs to retire the side. 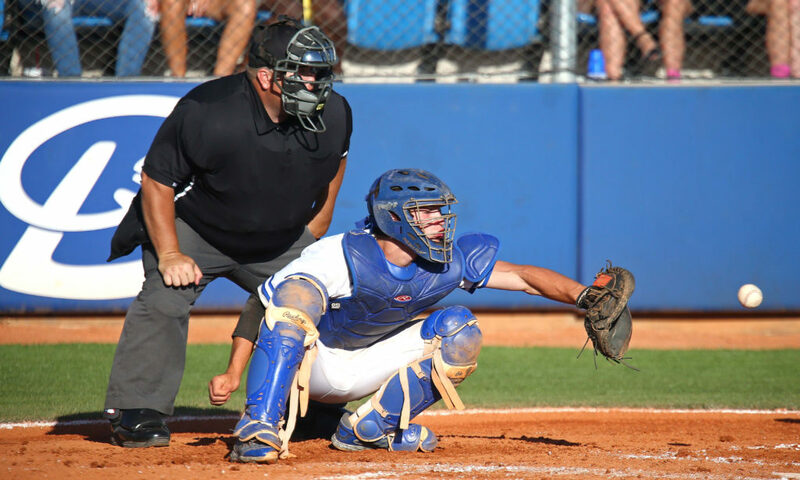 The Bears got two on in the fifth and drew two walks in the seventh, but a pop out killed the rally in the fifth and a double play and a pop up ended the game in the seventh. 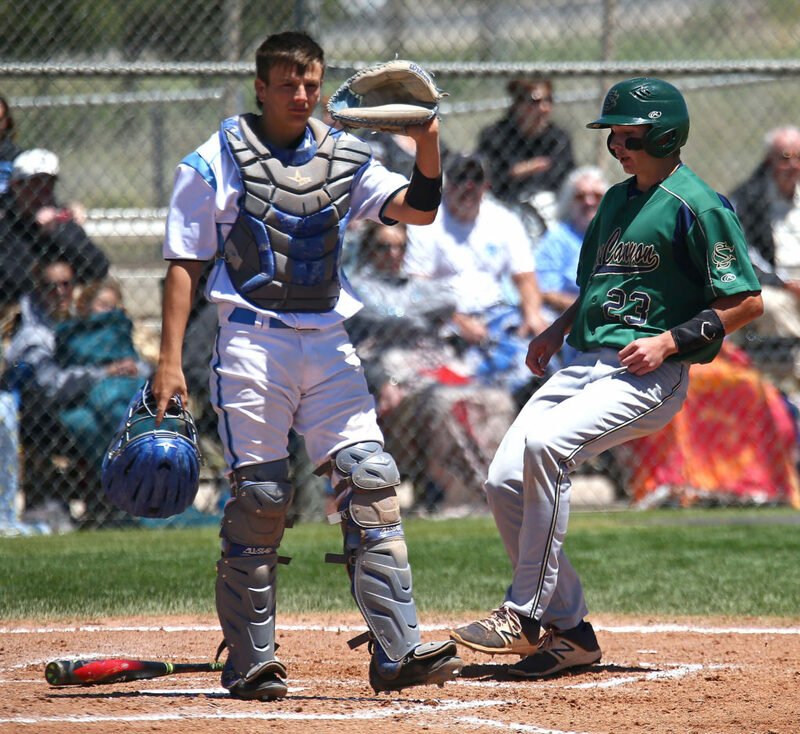 Pine View, 14-10, had just six hits in the game, but three were doubles (Sampson, Leavitt and Dawson Staheli). Sampson also had a single. Leavitt threw 94 pitches in the complete-game win, his sixth of the year. 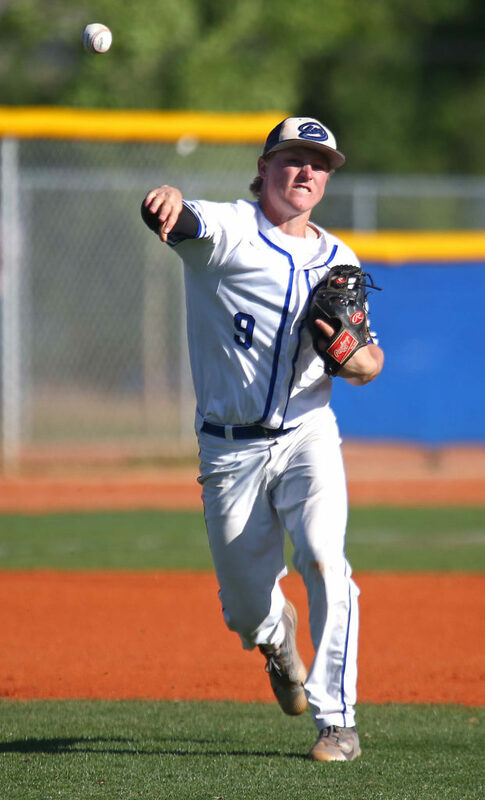 The Panthers will likely face Park City ace Ryan Brady on Thursday (1:30 p.m. at UVU) in the state quarterfinals. Union stayed alive with a mercy-rule 15-5 win over Juab to close out the day. 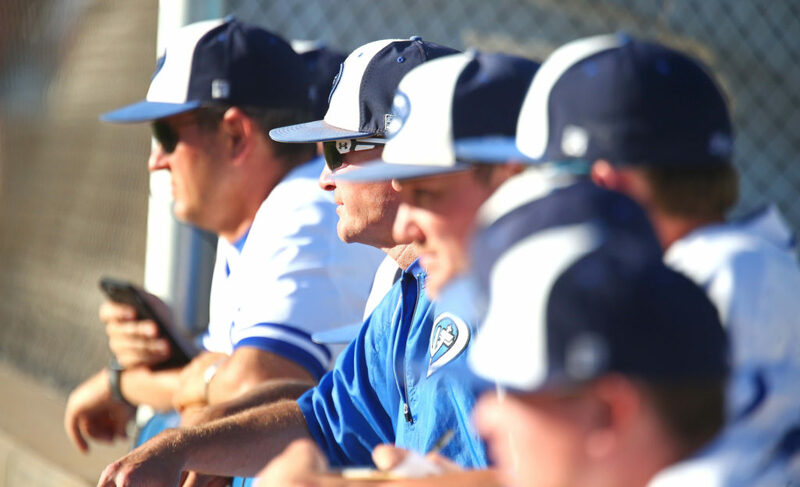 Amazing Snow Canyon keeps winning despite coaching. Their clean up hitter(coaches son) is batting a whooping .210 with 2 extra base hits all year. Should be batting 8th or 9th on most teams. His second baseman is slow footed with a weak arm (oh he’s coaches son too)! Teams would be crazy to pitch to Demming as long as Secrist is batting behind. Editor’s note: The “whopping .210” is inaccurate. The player in question batted .247 with an OBP near .400 this season.